The Foundation for the Advancement of Sephardic Studies and Culture (FASSAC) is a non-profit organization dedicated to the promotion and preservation of the Sephardic culture, language and experience. The heritage and language of the Sephardim – descendants of the Spanish Jews who fled the religious persecution of the Inquisition five centuries ago – has diminished greatly and is in danger of vanishing completely. The Foundation’s goals and interests are reflected in a wide variety of activities, historical exhibits, visual presentations, documentaries and book publications. It continues to conduct research and publish works in an effort to document and promote the culture and history of Sephardic Jewry. 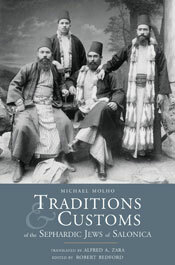 More information on the Foundation’s projects and publications is available at www.sephardicstudies.org.